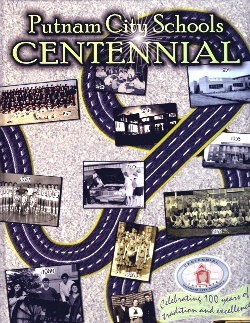 the Putnam City Schools Museum has created a book to commemorate the Centennial. The Putnam City Centennial History Books are Here! The books are available at the Putnam City Schools Museum at NW 40th and Grove during normal museum hours each Saturday from 10 am to 2 pm, or by mail via mail-in order (just print the form on this website and mail to us) or via Paypal. The prices are on this page. The reception to the book has been outstanding, and the Metropolitan Library has even ordered copies for their branches. The Centennial book will also be sold at the All School Reunion Pancake Breakfast and Medallion Program as well as during special occasions. Supplemental DVD included in the jacket cover of each book. In each book cover jacket there is also included a DVD that has lists by year with alumni names of all the Graduating Classes from 1924 to 2013. 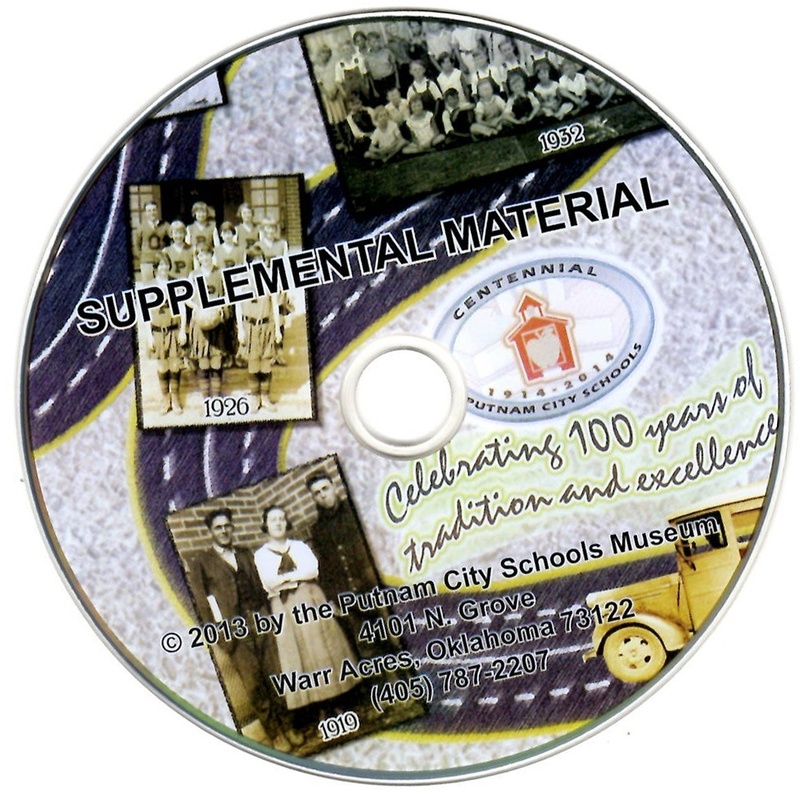 On the DVDs are also included all of the Yearbook covers and Senior pictures from 1914 to 2013 by year for Putnam City School High School, Putnam City West High School and Putnam City North High School. For the first time ever, you can have your own personal copy of the complete Putnam City Schools story! Containing approximately 250 page of school district history and illustrated with hundreds of priceless photos, there will also be numerous personal anecdotes and recalled memories. Just fill out the order form below and send it with your payment to the Putnam City Schools Museum. "100 year Centennial Book (s) in memo line.